March 20, 2019, © Leeham News: With nearly 400 Boeing 737 MAXes grounded across the globe, few will remember that Boeing didn’t really want to do the MAX. Officials in 2010-2011 engineered the MAX as a fallback airplane in case its hand was forced by Airbus as it first pondered and then launched the A320neo. 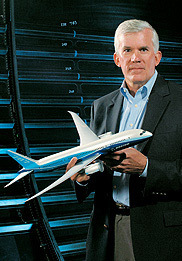 Jim Albaugh, then president of Boeing Commercial Airplanes, didn’t want to re-engine the 737. He wanted a new airplane. Seattle Times photo. The president of Boeing Commercial Airplanes at the time, Jim Albaugh, and the head of the 737 program then, Mike Bair, talked down the thought of re-engining the 737 even as it was developed. Albaugh wanted a new, clean sheet airplane to replace the 737. When Airbus was about to land American Airlines with a huge order for the A320 family, both the ceo and neo, Boeing’s hand was forced. Within 48 hours, Jim McNerney, Albaugh’s boss, made the decision to go forward with what would become the MAX. LNA dug into its archives for recorded interviews, transcripts and events with Albaugh and Bair. What follows paints the picture of Boeing’s view at the time about the 737 re-engining. LNA also spoke last year with a former Boeing engineer who worked on the MAX program. This interview was before the Lion Air crash in October. As Airbus moved toward re-engining the A320 in 2010, and with a program launch in December that year, Boeing, predictably, thumbed its collective nose at the neo and the entire re-engining concept. At an employee meeting Jan. 14, 2011, Albaugh, dismissed the neo and its potential competitiveness vs the 737NG. “I think Airbus will find re-engining the A320 more challenging than they think it will be,” he told employees during one of his periodic “Excellence” meetings. “When they get done, they will have an airplane that might be as good as the Next Generation 737. We think we can continue to make incremental improvements to the 737 to make sure that it is a more capable airplane than even the re-engined A320. “At the same time, while we haven’t made a firm decision, I don’t think we will re-engine the 737. It’s really hard to come up with a compelling business case to do that. We think the right answer to probably do a new small airplane that might come out toward the end of this decade. We’ll make that decision probably sometime in the middle of this year,” he said. “Every customer I talk to has a real hard time understanding why a re-engined airplane makes sense,” Albaugh said. “Airbus says it will cost them a billion Euros to re-engine. My guess is it’s going to cost them considerably more than that. The engines are bigger. They are going to have to redesign the wings, the gear. It’s going to be a design change that will ripple through that airframe. But Boeing being Boeing, it devoted considerable engineering resources to studying a 737RE, as the re-engine was informally known, as well as an entirely new design. The latter was Albaugh’s clear preference, as it was for any airplane designer. “We were basically keeping the RE effort alive as a stalking horse for the new small airplane effort at that time,” recalled an engineer on the program years later. “It was good that we did, too, as we were able to put something together really quickly for that whole American Airlines debacle and get the MAX started as quickly as we did. Boeing looked at re-engining the 737NG two or three times. The company wanted minimal changes, but gaining significant improvements remained elusive. As for the preferred solution, “at that time, they couldn’t make up their mind whether it would be a single-aisle or a twin-aisle,” the engineer said. So, the engineer said, the 737RE was dropped. In a March 2011 interview with this writer for Aircraft Technology magazine, Mike Bair—then 737 product development head—said engineers had figured out how to reengine the airplane with either the Pratt & Whitney GTF or the CFM LEAP-X. Mike Bair was head of the 737 program. He oversaw development of a re-engined 737, but didn’t think much of the economics at the time. Boeing photo. By this time, Boeing had been through the “concept feasible gate” that validated that re-engining was something that could be done, he said. A still-bigger engine would be somewhat more fuel efficient but it would weigh more and have more drag, offsetting some of the additional fuel benefits, he said. Bair said the nose gear would have to be lengthened about eight inches (which, in fact, is what happened in the final design). Bair said Boeing looked at engines from P&W, CFM and Rolls-Royce. The re-engining cost budget was targeted for between $1bn and $2bn, Boeing insiders said. Boeing Co. CFO James Bell publicly pegged the cost at about 10% of a new airplane, widely believed to be about $10bn-$12bn in the 737 class. The cash operating cost benefit was half of the fuel burn reduction, he said. (If there is a 10% fuel burn reduction, the COC benefit is 5%. Maintenance cost changes take a hit on this. The 737RE is 5,000 lbs heavier than the 737NG, which means more wear on wheels and brakes, for example. Bair’s example is now reduced by 1%, for a 4% COC benefit. Higher ownership costs take their toll. “That 4% goes down to 2 ½ or 3,” he said. By the time all factors are done, the airplane benefit is down to about 1%. “It’s kind of like, really?” Bair said. Of course, in the end the A320neo and 737 MAX economic benefit over the A320ceo and 737 NG was 15%-16% or more. But the point was made. With the 737RE on the shelf, Bair said Boeing was focused on what a new airplane might be that would enter service in the “back half of the  decade,” around 2019 or 2020. “We think there is a fairly compelling bundle of technologies we could put into a new airplane,” he said. Engine technologies for the new, future airplane (which we’ll call NFA) could come from maturing the GTF, LEAP and Trent designs from P&W, CFM and Rolls-Royce, he said. “I try to avoid saying ‘replace the 737,’ because what we’re doing is something a little bit different. We’re trying to figure out what does the world want in 2030, in 2035?” Bair said. “That’s when this airplane will be kind of at its prime. On the surface, it’s hard to image what worked well in 2000 is going to work well in 2030. Boeing was indecisive about which direction to choose. The ambiguity was driven in no small part during this era by the continued 787 debacle, which at the time of this interview, had not entered service. By July 2011, when its hand was finally forced, the 787 was more than three years late, billions of dollars over budget and it hadn’t been delivered to any customer yet. 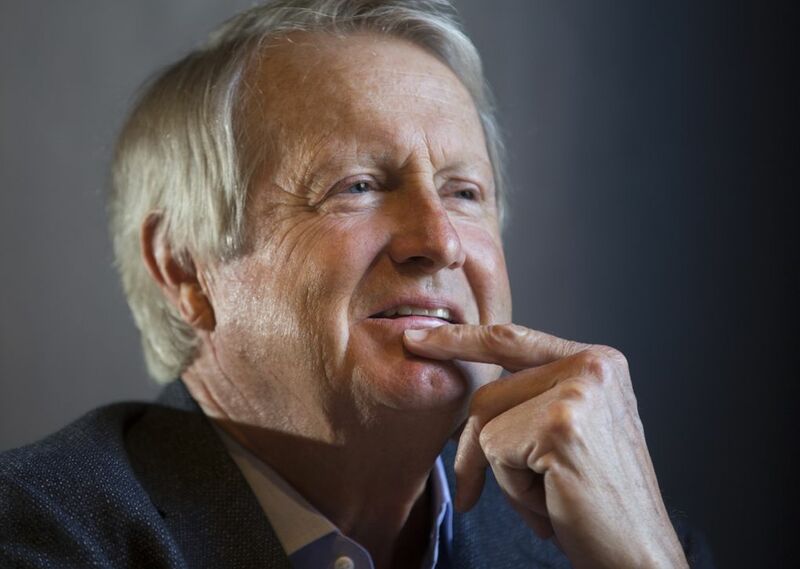 Word on the street was that there was no way the Board of Directors would approve a new, clean-sheet airplane program under these circumstances and that it had lost confidence in Boeing Commercial Airplanes and the Longacres executives to meet their promises, keep a schedule and keep to budget. The pending Airbus order from American Airlines was that “something.” The MAX was launched in July 2011 with the American order. They don’t seem to learn, they are taking a massive risk already by not having already started a 2 stage replacement starting at the top.Maybe thats the secret plan.Airbuses situation is much less risky now that they have the c series, if only the supply chain could keep up they could make hay with the A220 500. Well, things are getting real for Muilenburg and Boeing as the DoJ has opened a criminal probe into Boeing’s certification process…. Airbus has supply chain problems itself on the A320/A321, British wings and French Centre Sections are piling up as the Germans can’t keep up. The rate increase has to stop, So much for German efficiency. Or is the allure of low fuel burn trumps (pun intended) all? Have BA learned anything from this? All the details provided would seem to suggest that the B797 MoM’ster is still very much a work in progress. As noted by others the current indecision and lack of vision could be the lasting legacy of “Hurricane Harry”. All orgnaization have inertia, as this has no direct impact on what has been authorized for the next few years – all departments will keep going unless they get re-tasked. It takes time for it to settle in, course to be changed. Think of it like a Super Tanker. It takes 10 miles to stop one from full speed, it take a long time to even turn one. When one tells so many half-truths and half-falsehoods — as was the case with Boeing’s delusional management back in 2011 (and before/after) — the likelihood of correctly determining the impact of the competition diminishes. The problem is that the A320 was born to be re-engined with significantly larger engines — i.e. without requiring changes to the landing gear and with only relative small modifications required on the wing (which BTW was introduced for the A320 sharklet model). When the A320 entered into service in 1988, Boeing’s management at the time should have taken a hard look at how much higher the A320 was sitting on the tarmac, and asked themselves the following question: If they were able to re-engine the original 737 series by hanging larger engines on the 737 classic series; why wouldn’t Airbus be able to do the same thing in 15-20 yrs. time with the A320 — as the A320 had much higher ground clearance at the engine mount position on the wings than what was the case with the 737. The trend line for turbofan engines has been clear for a long time. Every new generation incorporates an increase in fan diameter and smaller core and higher overall pressure ratios. Yet, knowing (-/ or should have known) that Airbus could launch a much improved A320 a decade or two hence, Boeing launched the 737NG knowing fully well that they couldn’t put much bigger engines on the 737 airframe without significantly changing its aerodynamic characteristics. When Boeing decided to do the 737NG they could have decided to put the 757 nose on the 737NG — i.e. the forward fuselage on the 757 has the same cross-section as the 737 (NB: aft 757 fuselage has a larger lower lobe) — in addition to all new wings instead of just re-designing the 737 Classic wings, which would have enabled a taller MLG thanks to an all new centre wing box and by increasing the distance between the fuselage centre-line and engine mount centre-line — i.e. 4.83 metres on the original 737, 737 Classics, 737NG and 737 MAX; 5.75 metres on the A32X-series and 6.48 metres on the 757. Hence, it’s important to note that by moving the engine mount further outboard, there’s increased space for a taller Main Landing Gear (MLG) in the inboard wing. Furthermore, since the wing has a dihedral, or upward tilt, the ground clearance increases for an engines as it’s moved further outboard on the wing. Yet, on the the 737 MAX the engines have exactly the same outboard position on the wing as that of the original 737. If Boeing had put the 757 nose and cockpit section (Section 41) on the 737NG, they could have made the 737NG fully Fly-By-Wire (FBW), which would have enabled the use of the 777 cockpit. It’s pretty incredible, really, that Boeing didn’t take full advantage of the commonality between Sections 41 of the 757/767 and used that investment on the 737NG — and since Section 41 on the 777 is very similar to Section 41 on the 767 — Boeing could have had full commonality between the 777 and 737NG. The important point here, though, is that a fully FBW 737NG morphed into a fully FBW 737 MAX would quite easily be outfitted with a modified flight control system that relatively easily would have handled the pitch-up movement caused by the positioning of the LEAP-1B engines. But, of course, Southwest Airlines wanted full commonality with their 737 Classic fleet, and since Airbus had put the A320 cockpit on the A330/A340, Boeing couldn’t just copy what Airbus did with respect to single-aisle and wide-body commonality — an industry leader can’t just copy the competition (i.e. sarcasm more on) — so, a warmed-up 737 Classic (737NG) concept won the day. Now, Boeing’s fateful decision back in the 90’s, not to launch an all new aircraft to compete with the A320, or by fully upgrading the 737NG with 777 FBW technology, has IMJ led to what now appears to be a company threatening event. In game-theory terms, the single aisle competition between Airbus and Boeing, since the EIS of the A320 in 1988, has taken 3 decades to play out. It would appear that the current catastrophic MAX situation is rooted in Boeing’s notorious short-term thinking and a failure to correctly determining the impact of advanced versions of the A320, when they decide to launch the 737NG; possibly due to the sheer arrogance on the part of Boeing’s management — i.e. at the time and before/after — with respect to assessing the competitive threat from the Airbus “upstart”. What Boeing said about the A320neo was all smoke. All of the issues with regard to re-engining the A320 applied to the 737 not the A320. Boeing should have listened to themselves with regard to re-engining the 737 when talking about the A320, then they would have got it right. Across the board, Boeing is blowing smoke, smoke that they have convinced themselves is right. They need to do alot of thinking. Yes . I was struck by that part too. Boeings top managers seemed to think ‘their design solutions for a re engined 737’ would be almost exactly the design challenges faced by Airbus . They werent. Albaugh , although head of Boeing Commercial had trained as a civil engineer and seems to have relied on his senior aeronautical engineers advice, which was certainly wrong. A Civil Engineer is about as far apart from an Aeronautical engineer as you can get. I would like to see or hear the story from the real engineers. I suspect they told Boeing the real story and were dismissed. There is also the factor that they would make the 737 look as bad as possible as they wanted a new aircraft. I certainly have run into problems that new seemed the only resolution only to get turned down and told I had to live with it. Some very innovative solutions have come up that way. Really? Both have to worry about the strength and fatigue of materials, worry about aerodynamics, resonances, weather, certification, servicing, service life, cost of manufacturing. Civil Engineers in our side are focused on sewer, water and that sort of thing. While the math is there, its not there anywhere near the complexity of aviation. Civil Engineers to not do nor need heavy duty super computers for their work. I don’t dismiss them in the least, but they are not aeronautics engineers. Ever thought of a suspension bridge as a wing? they failed to plan ahead,should have considered growth at design . I flew out of chicago on 737 with old engines and had to wait 20 minutes for 5 planes to land as we could only use longest runway,bigger engines made a better plane. What has to be considered is a major reaciton, with Muilenburgs stupid statements, he could be on the chopping block. I saw figures on the A320CEO vs the 737NG by airlines that operated boht. One day one would be a 1% better, the next day the other would. Boeing seemed to drink their own cool-aid that the 737 was its listed percentages better than an A320. Keep saying it enough and some might believe it. You would hate to think engineers would buy into that. The FBI is now looking at the two Max crashes. I would not be surprised if the board looks at culpability although some of the cost cutters have moved on. As the A320 hasnt had a rewing like the 737 did to get the NG series , Airbus can now easily adapt the A220 carbon wing design and manufacturing process, including the Northern Ireland factory ( its in the right ball park size wise and can be optimised further for the heavier fuselage “A321 +” to be right on the sweet spot). And we don’t think Airbus can design their own wing? Aeronautical designs don’t scale up and down – A220 wing is an A220 only, to make the A220-500 they may have to do a new wing and engine to fully take on the 737-8. More than enough for them to do just to get the A220 up to mfg speed without taking on A320 that has its own engineers and wing experts. I honestly don’t think composite wings on single aisles are worth the $$. When I see the fuel burn of the Embrear E2s vs the super high tech A220 I question if even LiAL is worth it. The A220 wing never failed the ultimate load test so it is ready for the -500 stretch. Aeronauticsl designs do scale up and down. Tubes and planks come in all sizes. The new wing for the A32X will be designed in Airbus, Filton, Bristol for the next generation wing is already in development. But it is now likely to have significant input from Bombardier. Best of both worlds. Can see an A220-500 replacing the A320. With the current situation maybe the time has come for the 320+ (320.5), +15-20 pax, updated/tweaked wing, 2nd generation PW GTF’s. This wing could also be used for the “standard” A321NEO, the 321+ and 321XLR might however need a different (“new”) wing for MTOW’s of 100+T. Wings scale up and down…that’s what Boeing did with the 777X wing based on what they did with the 787. Of course Airbus could spends years extra and billions developing a new wing much the same size as that on the A220, then ramp up production from a new supplier…. Or bring to market quicker and at a better price point for the airlines. From a business point of view , the other way would have to pretty compelling. Even late in the game, they had the opportunity before AB did. A couple of times. When they got their MBAs, they also got certificates in hubris. 2) New NSA development halfway (?) done. So I’d say it high time to go for it without any further ado. 1) They know how to make them but teaching robots to do it quickly and consistant is the trick. 2) The NSA will most likley come after the NMA with next generation Engines. As long as customers buy and lease 737-8’s and Boeing makes a huge profit building them it will continue. The lease rates are similar to A320neo but building a 737-8 is less cost. 1) No they don’t. I know because that’s what I do every day – produce carbon fiber parts. I know all the methods and materials and the process and duration and cost and whatnot. So no, up to now nobody has figured out to mass produce single-aisle airliners like the 737 or A320 in quantity and at reasonable cost in CFRP. 2) Forget about the NMA. With the recent events that project is just as dead as a sonic cruiser. Whether Boeing will be able to get the Max back in the air is currently open. And even if they do, this model is now so severely tarnished that a replacement is absolutely essential. We will see plenty of cancellations in the very near future. Eveything I have read seems to question the value of compsite single aisles with current and forseeable tech. Even with widebody look what A330 NEO can do vs 787…if it was made of LiAl and clean sheet it could probabaly beat 787. The benefit of CFRP in narrowbodies are a bit less mass, more slender wings that are more efficinet but the main beenfit is corrosion resistance, when you open up the A350/787 carbon fiber structures for inspection it looks great hence the major checks on narrowbodies can be done quicker/cheaper and less frequent. The fatigue Life is also much better making for fewer repairs. Al-Li is haft way there but can you do it economically with carbon fiber it will make Life easier for the Airlines and preserve the value of the Aircraft structures much more making for longer time in service. @Gundolf. 1) We agree fully, doing it with a mix of TLM and hand work is done today but fully robotized not yet and it is needed for 50-100 narrowbodies/month. A220 are delivered approx 2-3/month, the shipment of new production A320neo’s a regular working day. Your comment that “this model (737 MAX) is now so severely tarnished” is the question that should be asked now, by Boeing and the FAA, but also by the public. I don’t know how an airline manufacturer is allowed to sell a plane that has been so modified that it no longer meets aerodynamic principles for safety without software that must compensate for the bad design (larger engine than designed for). News flash from a software pro, software always has glitches or bugs. I certainly hope regulators or Boeing retool the MAXs more than just a software tweek, or they mothball the fleet. The public doesn’t want to have to decide IF they will fly on this plane and risk their life, and they shouldn’t have to. The software defects in MCAS aren’t “glitches” or “bugs,” they are design errors. MCAS was so clearly a bad design that it’s hard to understand what they were thinking. not sure a statement made in 2011 about manufacturing knowledge is even remotely relevant today. thermoform CF panels that you form and punch out on a press just like the fender on your dodge from flat sheet stock are either ready to go or just around the corner. in 2019 it ought to be very easy to have confidence that you can build a CF fuse and wing for comparable or lower cost than an Aluminum one. It is a bit harder than stamping out soft steel fenders. You normally use prepreg and Automatic tape laying machines in a flat or curved tool to build up the structures with at least one layer electrical mesh for lightning protection, assemble them, then bag it with temp sensors and vacuum hoses before the autocalve run in its tools, finally removing the stuff and NC trimming before checking the shape, NDT inspection normally by acoustic scanning probes and checking that the baked in titnium fastneres are per spec. So getting robots to do it fast and accurate is no easy task. The basic failure of MCAS shows a regulatory failing on certification testing/analysis between Boeing and the FAA. Yes, this failure occurred on an airframe that’s been around for a while, but that doesn’t necessarily mean it could not have occurred on a cleansheet. The environment for just that is there. Airbus had existing experience with cylindrical LIIon cells from SAFT. Same cells that Lange Aviation uses for its electric selfstarting sailplanes. afaics they inherited the arrangement as Boeing had scoped it out for the SonicCruiser. IIRC, the A350 batteries use a very different chemistry as opposed to the 787’s Lithium cobalt one which is known to be very volatile and prone to thermal runaway. In addition to this, Airbus uses 4 batteries, each with around half the energy density of the 2 787 batteries. They had already designed a durable container for them, with a system to vent any runaway event directly outside of the aircraft, well before the 787 battery issues turned up. Airbus did remove them and went with NiCad until they did have them. I have a major confidence in SAFT, they are a gold standard like no other. That said no one knows what was changed during the interim period on the A350, just that once they had met the issued specs (RTC from the US and not sure what Europe did) they put them in. SAFT may have been good to go or they may have changed some aspects as a result of that learning curve. I often find that I have a solid setup, but other information comes in that makes it better. That gets incorporated, I don’t care where it comes from, I learn from anyone. No public papers were put out on it. Oh, Transworld, what should one say to your stuff? Fall out from the FAA/Boeing pileup was completely vague. could have lead to disallowing LiIon batteries or massive recertification demands on Airbus to keep the table tilted properly towards Boeing.. But in NiCads ( Airbus had the leeway, Boeing not ) and proceed with uninterrupted certification of the A350. I find your invention and/or morphing of “facts” rather bothersome. your comments. They are often incomprehensible, and are filled with factual errors. The amazing fact is the poor system redundancy for the MCAS and the Boeing/FAA belief that the pilots would quickly follow procedures and turn the autopilot trim off as soon as goofy things happend. They like to hold onto the yoke. One can understand a bit of it when they are unaware of the system and have not practiced it in a 737MAX simulator but after the Lion Air accident all 737 operators knew of the system and still it happens again. It might be from other causes and one can wonder how a new aircraft can be put in service with no commecial full flight simulators delivered to the airlines or flightsafety international and at least have all cheif pilots getting to do all the traning in it with induced failure modes including all sensors, bus bar error and then tell his/her colleges what to expect and how well the Aircraft Operating Manual works in these situations. That is another major point that is being raised on Simulators. We can guess the training did not take on Ethiopian. One pilot said he put his into auto pilot on takeoff. The poor (no ) system redundancy was they got it certified at a lower level and then excused it as already in the book though the activity does not reflect what a run away trim does. Keep in mind with the 737 setup, you have to have two separate software teams doing the work writing their own code, loading it and testing it. Question of course is what auto pilot does with one bad AOA reading? A long story about a lot of excuses and zero learning. One must be quite the narcissist to persist with that “just catching” quip. The gist is that Boeing had no further alternative beyond going MAX or under. “NSA just around the corner” was just talk. and what did Boeing spend on the MAX? The talk of a new single aisle had been going on for years. Sadly Boeing believed it own hubris. They said the A320 wings could not take wingets. And they seemed to believe silly claims about efficiency. Then they ignored the C series. I am beginning to suspect that this will be the end of grandfathering for both A and B.. I wanted to see that as well but they are stuck with what they have. I do wonder if the engineers really believed the Smoke or if it was just management? I know often I quit arguing because it just ticks mgt off and they beat up on me because they don’t want to hear about it. I don’t think the end of grandfathering for both AB, and BA would be a bad thing at all, quite the opposite ! It may even be a stretch to suggest that you can use grandfathering on the 777-8, and 777-9. About the only thing that’s common between the current 777, and the 777-X is 777, and the basic fuselage, and landing gear. Perhaps grandfathering should be limited to a percentage by weight, component, some other means, but maybe to 10%, not 80%. The 777 is using grandfather. The grandfather is not at fault, the execution of a control aspect was grossly wrong. 747-8 is doing really well and its a massive grandfather as well. As we saw a whole new design in the 787 also fell into this trap. For the same reasons. The FAA allowed Boeing to self certify a crap battery system. Neither would have been issue if not for the corruption of the process. You might as well blame the sun rising in the East going that route. I recall another pressure to ‘MAX’ was Southwest insisting that they still primarily wanted a dash7 sized aircraft.The NSA was to start at the dash 8 size.Sadly over the development time Southwest decided that their primary requirement was more for the latter. Also as stated Boeing had been having a nightmare maturing carbon composite technology which ( I assume) the NSA would have had to make large use of. Working in Single Aisle numbers yes, the 787 does just fine thank you. And its changing fairly fast so ………. BBD went with Aluminum fuselage and its worked nicely. Metal composites are the next big step in airplanes. I always took view that they would replace the high strength parts made of steel and titanium and where aluminium is used because of the need for impact resistence (A350 nose). To me CFRP has a long way to go, but it will be out of autoclave to aid industrial production. CFRP will become stronger and lighter allowing thinner panels. Sorry, but I have to disagree. Metal composites are heavier and less strong than full metal parts. Their durability is lower and they are not even cheaper. It’s one of the things that you can do but hard to find any usefull application for. CFRP on the other hand is significantly lighter, stronger and much more durable. Of course they are expensive and hard to work with. That’s were most of the development work is going into. Resin Transfer Moulding is one way, like you can see in the fan blades of the GE9X. The fan of the GE90 is made from prepregs, which is much slower and cost probably twice as much. One problem with RTM is the high pressure you need to make sure you have no voids and dry patches. This means the size of parts is limited. As far as I know the GE9X fan blades are about as large as you can go today. A fuselage barrel (Boeing) or panel (Airbus) is way too big. Maybe thermoplastics could be the way, of of course “out of outoclave” resin systems (MC-21), but still have quite a lot of R&D ahead of them to be employed for single aisle planes. Why are metal matrix parts heavier than metal parts? Shouldn’t the density vary with the volume fraction of the fibers? What kind of fibers go into a metal matrix part – turbostratic carbon or something else? Not contradicting you, genuinely curious. The Matrix (resin) carries almost no load but has a mass. The fibers offer the same modulus of elasticity and tensile strength as solid parts. So to give a part the same stiffness and strength you just ad the mass of the fibers. You can use materials like this to produce large parts, but I don’t see and usefull application in aviation. MMCs are someting completely different. They are ceramics that contain carbides and oxides of metals. These are typically very heat resistant and great to make high pressure trurbine blades for example. As they are rather brittle (and heavy) they are no use for structural parts. Depends what you mean by metal composites.GLARE is lighter than aluminium, the aluminium is obviously the same density, glass is slightly less dense and the epoxy component less dense still.Also much better fatigue performance.Metal/metal composites are obviously the same density. There are some metal matrix materials which mix in things like silicon particles which could be more dense but they have special properties and applications. Check out GLARE, greater tensile strength, corrosion resistance, better for crack propagation, significant weight savings,etc.Also has the advantage of being able to orintate the fibre with the load. A380 was a significant use, seems to have gone out of fashion, but still quite a bit of excitement with aviation engineers. Boeing actually used GLARE before Airbus ever did. In the early 90s it had GLARE in the cargo floors of the original 777, but they went back to the conventional material for cost reasons before the EIS. There aren’t any signs of recent interest, unless you count Embraer’s recent testing of FML in the fuselage and wing. Which I believe was the design mistake. At the time, I suggested they should drop the 900 size. Optimize a lighter 7 and 8 with lighter smaller diameter engines with a smaller core. Trade 500 nm of range capability for lighter weight and efficiency. The only solution for the A321 in 2010 was a new airplane, launched in 2014? And, even with the launch of the 777x and Max10, they still need to launch a new aircraft to compete against the A321. Nothing has changed the calculus in 9 years, other than they missed five years of sales, so far. I don’t think Boeing is superficial enough to not have realized this behind closed doors. I am sure Boeing is sorry you were not on staff when this was all done. Composite fuselage production does not scale up to 60/mo. 1- Stick with the 737 and build the NMA. 2- Bite the bullet and build a new single aisle with a metal fuselage. The other argument was that Boeing’s 737 customers were not interested in a Boeing NSA at 50% higher price no matter how much shiny new technology it incorporated. The locked-in customers were willing to keep ordering the NG and the not-locked-in customers were seeping away to the A320, but still not willing to pay more than for a NG. There are a lot of attack adjectives being deployed in these threads to describe the 737, but the flip side of those attacks is that the 737 is cost-effective and generally pilot-compatible across the entire product line – those are valuable attributes for cost-conscious airlines. A brand new type foundered because spending lots of money for essentially the same performance does not sell. The 787 sold on hyped specs ( Drug like rush. basic performance gains being “conformal” to engine gains _AND_ selling it at a list price strongly below the ( copied 🙂 competitor A330 :-)). _AND_ further super rebates for the first 400+ frames. ( what is still remaining of the deferred cost in the 787 bucket? MAXimum engine size on 737. GTF is beyond that size and not scratching the runway was just one point. Aerodynamics also looks maxed out. Maximum means a limit is reached. Nobody can tell me that no Boeing engineer did put a 737RE in a wind tunnel. They had known about that problem right from the start. The problem with wind tunnels is a scaling issue. They do work well for basics, but you still have to test the aircraft. Each iteration of the models and testing makes the models better. Clearly this kind of behavior does not model nor wind tunnel. So no they did not know until the first flight tests. They did catch it. They screwed up the fix but that is different part of this. TransWorld, we know all this. Do you really need to reply to each and every post even if you have nothing substantial or new to share? Agreed. TransWorld, you talk too much, especially for a non-aero engineer. I realized that I have started to scroll over your postings. Oh well, my inner airplane is so hurt. I will seek my safe zone. I do note that no one is disagreeing with what I posted, aeronautical engineer or not? They will be moving fast on this. Not full resolve but the start. This is not to excuse Boeing or the FAA. In the 5 months since the Lion Air crash, around 13,000 people in the US died in auto wreak. 105,000 Deaths by Medical errors. Boeing should have never abandoned the 757/767 program. They are, hands down, the most successful modern airplanes ever built. Best suited for the current and future market; perfectly efficient, and same type rating saves millions on training. 767 displaced by the better performing A330 in the 90ties. 767 was Boeing’s go at an A300. And just like the 737 it was supersized (till the 764 flopped.) while Airbus took its knowledge and designed the A340/A330 combo. In a way that is “Boeing wins battles while Airbus wins a war in the long run”. For most operators the A321 killed the 757. RR helped to kill the 757 by increasing the cost of overhauling its Engines, the 757 strutures became a bit old design, the PW2000 had it initial problems making many customers ordering the RR Engine option. So the 757 would have needed a major facelift, new engines to be the natural step up from the A321 and A321neo in payload/range. Like a 1997 version of the 797. A lot has been written about how the airlines are coping with the grounding by extending leases on aircraft which were about to leave the fleet.But they must have been due to arrive somewhere else,350 narrowbodies are still missing from the global fleet.There must be some drama somewhere ,or is there a glut of secondhand aircraft leaving the likes of Ryanair? 17,000 gun deaths, 10,000 of which are suicides,strangely no presidential intervention. No the 737 isn’t unstable becuase of it’s engines. It only affects a very small area of the flight envelope. It was the changes Boeing made which relied on a single flight sensor and the other ways that led to the nose being tipped down agressively from that are the areas of concern. Superstar test pilots, who presumably had been fully informed about ALL of its handling characteristics. There have been some obnoxious comments from US airlines, implying that they haven’t had any accidents because they are better than lion and Ethiopian. Even if it is found that the pilots could have avoided crashing, sooner or later the worst US pilots would have done the same thing.Or did they know something that they didn’t bother telling the rest of the world’s airlines about? Why was MCAS installed in the first place?. As far as I understand it is due to the new engine which due to its size had to be brought out more forward from the wing and angled. To accommodate this new engine they had to increase the nose strut 8 inches. Due to this new engines and its location gave the aircraft aft CG at certain maneuvers. To counter this aft CG, MCAS has been installed. This is the new system for MAX aircraft only due to this aft CG issue and did not exist or was needed on other 737 models. I am not an aeronautical engineer but I think the airframe has limitations and this airframe maybe is not designed to carry these bigger engines in the first place. But that is the point, how come you see the airplane flying so stable at extreme angle of attack (as in the video)? And they repeated that fly maneuver over various days at the FAS. So I don’t understand how it can be so unstable that it would crash because of the engines (as being claimed). Most modern airline need some kind of computer to make them stable. If the pilot were not informed about that process that would be the issue, not the plane and its engines placement. After all, other pilots that had the issue (Lion) with that particular model and manage to fly the plane for a few fly and land it without issues. Have you seen truck racing? A truck without load goes almost like a race car. Same here: A 737 without load (pax, baggage, freight, little fuel) handles completely different, pretty much like a little trainings plane. You fill it up to the brim with pay, cargo and fuel and it becomes really difficult to handle and the “healthy” operational envelope is a fraction of that of the empty plane. Such a display at an air show tells us exactly nothing about the plane in normal operation. 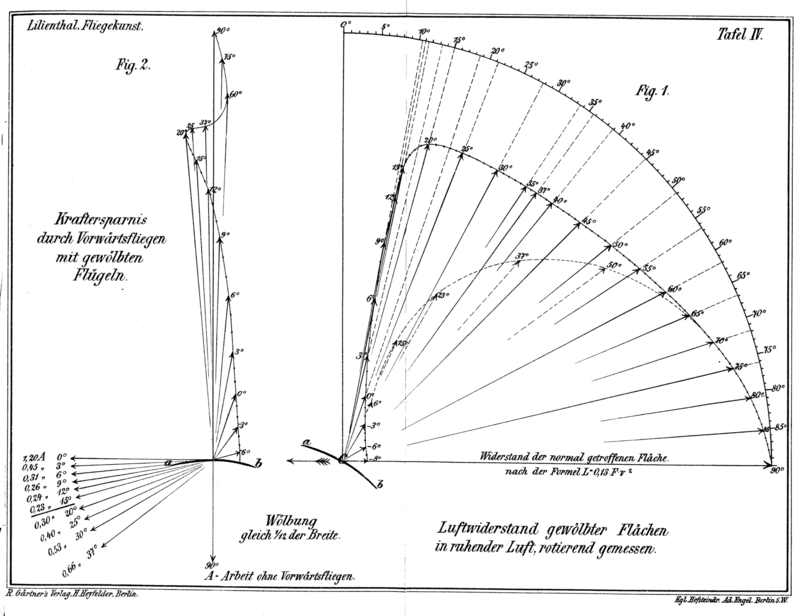 where the airfoil lift peaks at 20degrees. As you say, I would think that the heavier the aircraft at a certain speed, would have to fly at higher AOA in level flight. To turn or ascend there would be less margin until critical AOA. You do know the tests are run at full up weight as well as the initial lower weight? Makes me wonder about the MAX10, its pushing the MAX to its limits, and we see the MAX8 is already challenged? It’s the other way around I thought, the longer the plane the smaller the tailplane needs to be. Someone has suggested that this could be the real reason the MAX 7 was turned into the MAX 7.5 . It’s fine, partly because it has MCAS,everything is fine until the angle of attack sensor goes AWOL. Sad story for Albaugh, highly respected guy close to retirement signing of something he wanted to avoid. Too slow when they had to move/ take risk. You can almost hear him thinking here & as the other guys.. Looking back, what do you think the alternate path was? It’s still hard for me to see any other path than the MAX. 2012 launch a new single aisle. First, build a new factory, which goes slower and has more problems than things did in the late 60’s when the 747 factory was built. Metal fuselage about the same size as A320, another decision not easy to arrive at. Build a CFRP wing factory for 60/mo, no problem right? Risk folding wings? No way. Again a tough decision to go for a new suboptimal, low aspect 36m wing. Today, I think the wing issue is a big question. I think they will have to commit to two dedicated wings. One 36m wing for the A320 size or whatever pax count optimizes at 36m, then a folding wing for the A321 and up size. Or a new gate designation C+ (44m), halfway between C(36m) and D(52m). Ted, if you arrive at the conclusion that the new generation high-bypass engines is too large for the 737, which they are, you have made the first correct decision. Next one is you want a full FBW, similar to the A320. When I develop a new product I usually start with what the competition has and find the small and large points where it can be improved. Maybe a somewhat better FBW system? A little more carbon fibers here or there or maybe AlLi? Maybe actually carbon fiber wings? Somewhat improved aerodynamics? As this plane would also be a bit larger, maybe you’d keep the 737-700 and -800 production running for a bit anyway, while you grow production. If the Boeing suits had kept a cool head they would have come to some much better decisions back then. Occasionally a truly game-changing new design or technology comes along, in which case one follows Steve Jobs’ advice to give the customers what they didn’t know they needed, but in the single-aisle aircraft market there is no game-changing new design on the horizon. In which case one might start by asking the customers what they want, which in the case of the 737 was better fuel economy and a more modern cabin at essentially the same price with minimal pilot or mechanic retraining required. Gundolf – totally agree on taking the best from, not only competitors, but your own products: If you tried to put a FBW in a 737 it would be a new airplane certification (A300->A330). No question a new plane will be FBW, but with what architecture? A320 from the 80’s, 777 from the 90’s, 787/350 from the 00’s, a new architecture from the 20’s? Also you loose Pilot commonality with the 737.
sPH: that is the $10B question for airframers – when to update or replace your current models based on game changing technologies. The dilemma with replacing the 737 is that it’s replacement will have no commonality for the airlines and therefore all the advantage of having the largest fleet of aircraft in service is gone. A320 had early on, and A220 has now, the competitive disadvantage of no commonality with the existing fleets. Now the A320 and 737 have similar fleets so they can truly compete head on with performance in many cases. So there has to be a big carrot (beyond the engine performance) to make the huge risk and investment out there somewhere. The reality is Boeing should have had the 737RS done when they did the NG. The MAX should never have happened, the writing was on the wall. And its still amazing that you can NEO a 737 and be fully on par with the A320NEO of a much newer design. As Paul M noted, it was the same process for a new aircraft for certification’s, the 787 could easily have had a battery fire over the Oceans and gone down. Both MAX and 787 Battery were a result of FAA allowing Boeing to set the conditions. Some military aircraft like Handley Page Victor and the Antonov 225 have had a plugin like you describe. The benefits of the Cseries existing wing is that -apart from winglets- it is same span as A320 series. This is because they are close to max span for common airport passenger terminal gates, an important feature. The MAX is not a 737NG neo. New nose-gear gear, heavier main gear and support structur, new split tip winglet, even thicker fuselage skin and finally MCAS. Add some features required for A320 but not for 737 due to grandfathering and the gap will open even father. What about 787 vs. A330neo? That raises a question. Does EASA allow grandfathering? AA and other airlines’ interest in the 20-year-newer 320neo and its consequent efficiencies? Who could have ever guessed that would happen? Anyone know whose photo this actually is? The actual readout should be mandatory as well. It is stunning how safety features are so options for a safe aircraft. The training was in Sept/Oct cross over dates, as the crash of Lion Air was late October, it does not appear he had simulator training on response . It will be interesting to see what Ethiopian has to say if they do. While it in no way excuses Boeing and the FAA, its does raise its own set of questions as to what was done about a known and critical safety issue. Boeing behaviour on the Max was typical of the current American generation who were educated to believe that Greed Is Good and was probably at least on the verge of criminality. I hope American society will change and adopt the ethics of the 50’s where Americans were considered strong wise and honest , sometime of the verge of being naive. But to the point. The fact is that western pilots who encountered the problem easily avoided it. The software changes to be introduced , together with the mandatory training for all pilots converting to the Max from NG should bring Max to the air in the coming months . One should not ignore the fact the the Max 8 is already OUTSELLING the A320Neo and this trend became more clear after both planes started operation. The Neo family keeps its selling advantage thanks to the 321NEO to whom Boeing has yet to find an answer. Max 8 is probably a very good and profitable airplane when flown by capable pilots. So all one needs to do, according to your claim, is install “western pilots” in all the 737 MAXs. Not at plane problem, according to you, but a dum furriner pilot problem, eh? Not buying that claim; sorry. We’ll see soon enough whose version is closer to the truth. This is interesting. Boeing thinks (or at least isn’t discounting that) a twin-aisle can scale down to cover the 150-162 seat market? Would twin-aisle would mean at least 7 seats abreast in the densest configuration, or does that include a 6-abreast that can fit two aisles? Yes, a creative small fat lifting body has been the desire for many years at Boeing. I think it also motivated the acquisition of Aurora, among others. If Airbus hadn’t driven a panick over a few years of sales/production, it would have been in service for many years by now, without any of the “oh, how evil of Boeing to derive another iteration from the 737” drama queens. Lest we forget, it was also NEO being so rushed that led to the massive A320 Glider fleet for much of the past two years. Rushing launches, and greed, aren’t unique to either side of the pond. I think Boeing is trying as much as they can to get out of the conventional twin engine, wing mounted, aluminum frame, game. It’s just been trying to avoid skipping 3-5 years of production/profits in so doing, which seems highly logical. The engines were the fundamental drivers of the development schedule for the A320neo. The airframe was basically ready for the new engines by the time of the EIS of the A320 Sharklets version. As for greed, I’d guess that there is no bigger contrast than that between former CEO of EADS (Airbus), Louis Gallois, and former Boeing CEO James McNerney. Are there any CEOs out there who aren’t greedy bastards these days? If there are, they’re few and far between. Over the past quarter century, CEO pay has skyrocketed in the U.S. In the 1960s, CEOs made around 40 times what rank-and-file ordinary workers earned. Today, CEOs make over 400 times what the average worker earns. (And they keep much more of what they make, thanks to income tax laws that are vastly less progressive than they were in the 1960s). Business schools and economists routinely argue that exploding CEO pay is “inevitable” and that it’s all a normal (and unavoidable) aspect of capitalism. Titanic pay packages are necessary to attract the best talent, they argue. But there’s at least one CEO out there who defies all these conventions: Frenchman Louis Gallois, the CEO of EADS, the European defense company. A CEO like Gallois, 64, would be inconceivable in any American corporate boardroom (where the belief that “greed is good” has been elevated to the status of a religion these days). When Gallois was named the CEO of EADS, he insisted on retaining his old SNCF salary of $273,000/year. EADS had offered him an annual salary of $3.4 million. To this day, Gallois retains his old salary and gives the balance to charity. Can you imagine any American CEO voluntarily accepting a $273,000 salary, when they could be earning $3.4 million a year? But at least McNerney can take solace in one thing: his titanic CEO pay package. As The New York Times pointed out in 2006, McNerney has a pay package worth more than $52 million. And you can be assured that he won’t be handing the vast majority of that fortune over to charity to live on a modest salary. Disciples of Jack Welsh fill the management offices of a number of US corporations. Nice guys. Why pay living wages in industrialized western nations when you can move these jobs to off shore dictatorships? Didn’t Welsh once say factories should be put on barges and hauled to the lowest wage countries? Gallois sounds like a class act. Unfortunately in America we have to live with carpetbaggers like McNerney. “Every customer I talk to has a real hard time understanding why a re-engined airplane makes sense,” Albaugh said. And American being American, said, yes Virginia, there is an A321 (which that Boeing PR rehash conveniently bypasses). I think the Boeing PR was so strong it put the leadership in a fugue state. The good old reliable 737 workhorse Is a safe airplane. No matter if it’s 200, 200 advanced, 300, 400, 500, 600, 700, 800, 900 or 8 Max / 9 Max! Yep, Boeing 737s are super-ultra-safe, even if two of them have very recently fallen out of the sky. Rest easy: you are safe with Neoliberal Capitalism and its best example, Boeing™! I will Not make any comments about the pseudopilots inefficiencies.